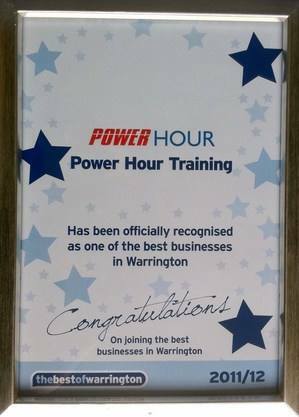 At a VIP networking event last night, with Warrington Borough Council and around 20 other local businesses, Power Hour was recognised as one of the best businesses in Warrington. We are delighted to get this recognition, and couldn't have done it without the recommendations and kind comments from our clients. We think that our bite- size training products are great, but it is only through our end users' comments that we can truly call ourselves 'one of the best'. If you would like to see exactly what those comments are, then click the link below. If you want to sample our products, and see what all the fuss is about, then please visit our shop... and maybe leave a recommendation of your own to continue our success story.